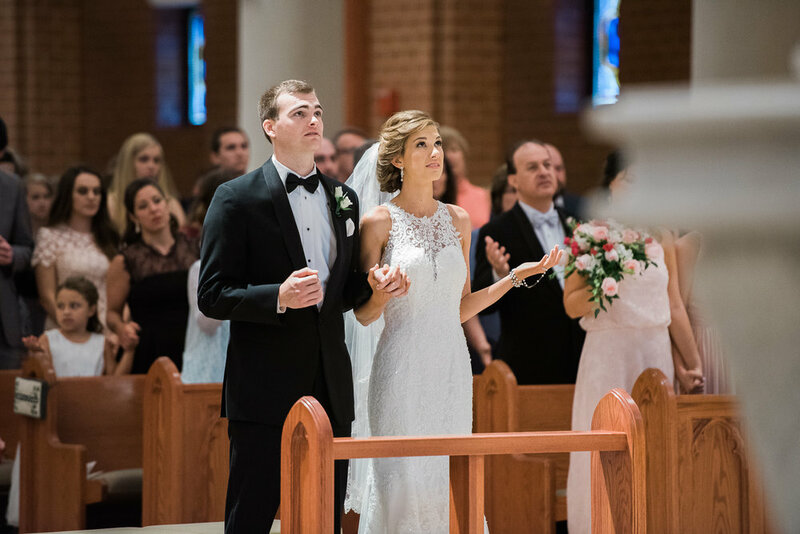 That Lent, Emily and John both decided to dive deeper into their faith before graduation. On Ash Wednesday morning, they sat in a Starbucks and decided they’d both attend Adoration as often as possible over the next 40 Days. 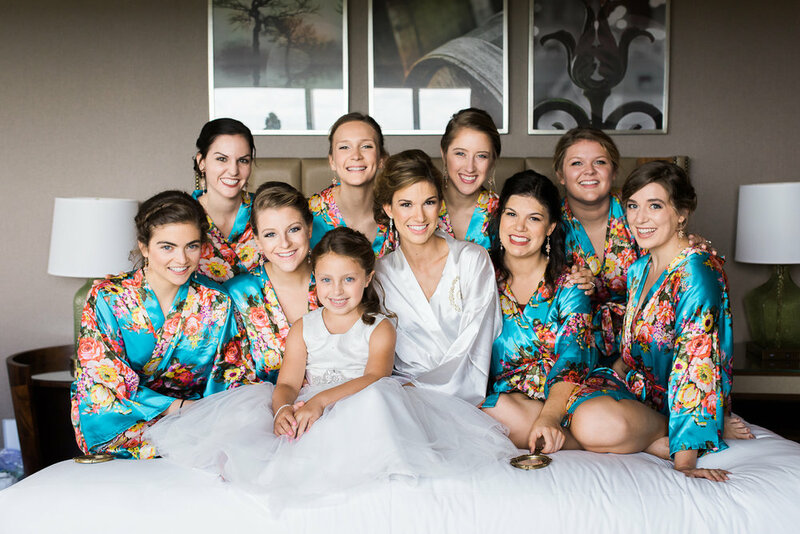 From the Bride: ...all the while, God was forming a rock solid bond between our two souls. It wasn't until the end of Lent--Easter Sunday to be exact--that we realized we were seriously in love. Exactly one year later, John brought me back to the same chapel where we had prayed side by side throughout Lent. He started praying out loud, which was weird to me. I kind of tuned out because I hadn't had coffee, but I snapped out of it when I heard, "... and I pray she says yes." He asked me to marry him, and as we drove to our favorite spot to watch the sun come up, it started snowing! There are no words to express my gratitude to God for allowing such deep relationships to exist between people on earth and for giving us the gift of the sacrament of Holy Matrimony. 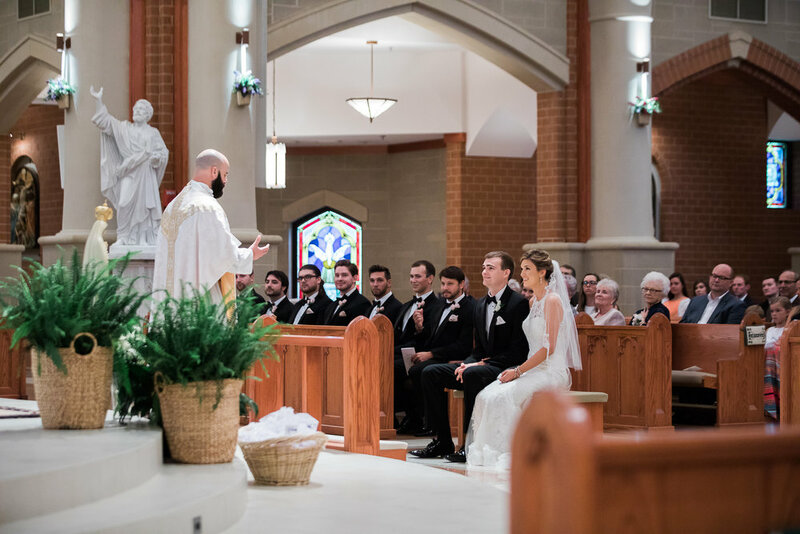 We were beyond excited to profess our vows to God and each other, to uphold the sanctity of marriage, and to embrace this vocation as our pathway to heaven. My maternal grandmother passed away one week before the wedding.On the day of, I realized I’d never chosen a bracelet to wear. My mom brought my grandmother's rosary beads to the hotel where we were getting ready, and without thinking twice I wrapped them around my wrist. I held the crucifix from her beads in my hand the whole day, from getting ready through the ceremony and reception. Her beads kept me ever-mindful of the cloud of witnesses above me and the realness of the presence of Jesus Christ that day--and every day since. We got married in John's home parish by our good friend and spiritual leader, Father Thomas Cavanaugh. Two priests from my hometown of Jacksonville flew in to concelebrate. The image of the three of them genuflecting before the altar will never leave my mind. It was unreal to see all of my worlds come together for the day and to kneel before the Lord with John beside me, our family and friends behind us, and the unseen presence of all the angels and saints around us. 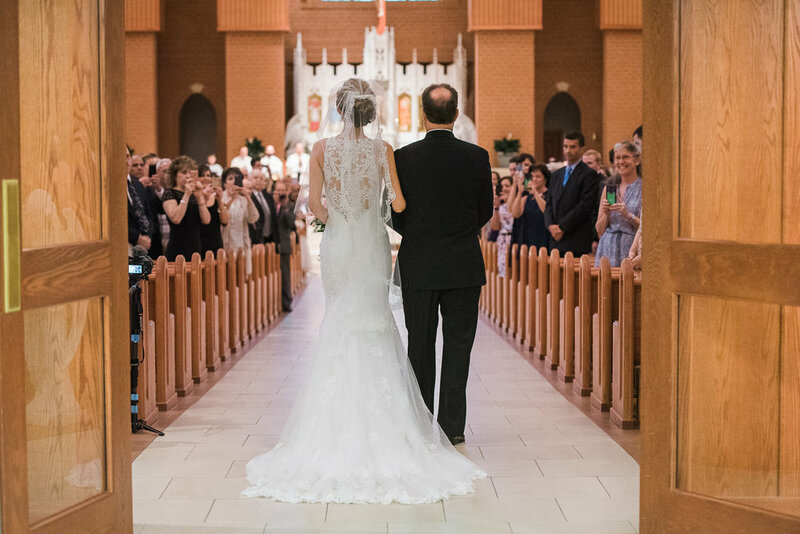 John and I had consecrated our lives to Jesus through Mary the previous year, and my good friend sang the Ave Maria as, together, we processed to Mary to ask for her intercession as we began our marriage. Mary is a huge part of our story: John asked for roses from Mary to signify it was "time" to propose. She gave them to him within a few months, when the timing was perfect. We strive to trust God by way of Mary. A dear friend's mother handcrafted 250 rope rosary bracelets that were carried down the aisle next to our rings. The bracelets were blessed just before the end of the Mass and given to each guest as they left the chapel, along with an insert of how to pray the Rosary and Divine Mercy Chaplet. My mother gifted us a statue of Our Lady of Lourdes, which sat next to our guest book. Each guest got to sign next to a prayer of the rosary. So when everyone prays the one prayer they signed next to in the book, a perpetual living rosary is prayed! This still gives me goosebumps. 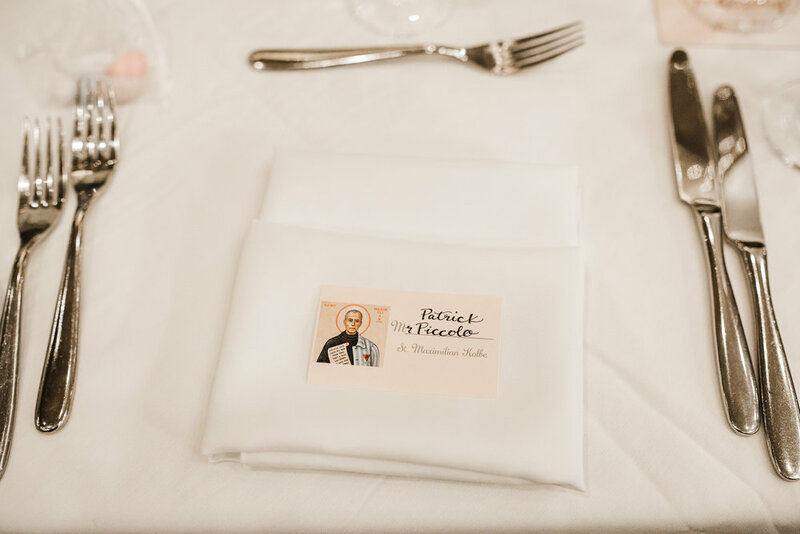 Each table and place card at our reception featured the icon of a saint instead of a number. We chose these holy men and women whom we have a connection with and carefully selected whose table got which saint. We also provided a personalized description of each saint, who they are and why we selected them for each table. 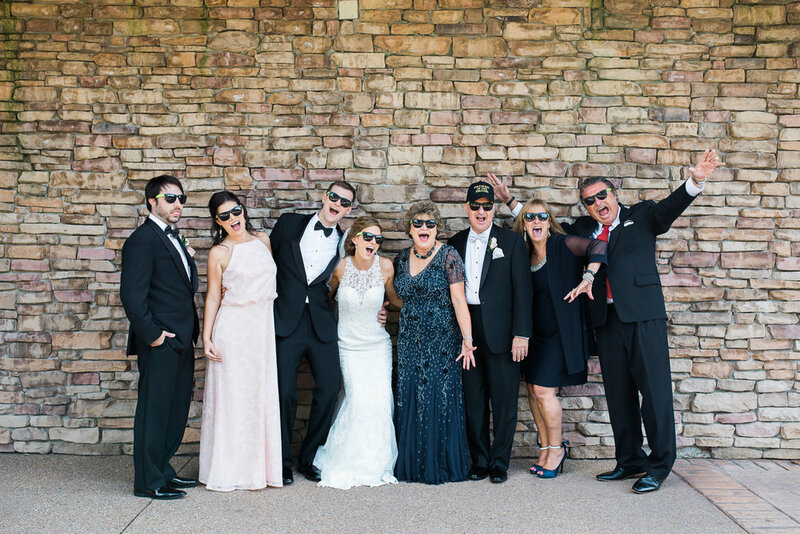 We wanted our reception to be tied to our ceremony and for each guest to feel intimately invited into the love of our Church, not outside of or confused by it. 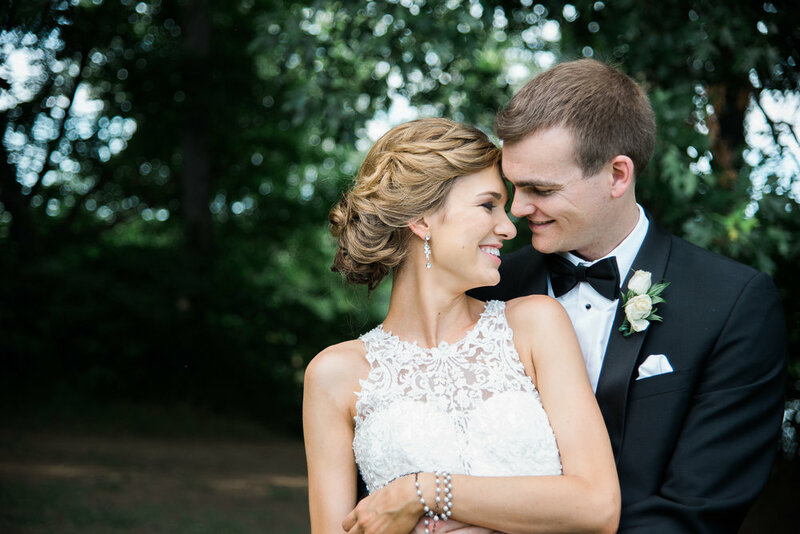 John and I feel called to be missionary disciples; our wedding was the perfect opportunity to begin to share the love we are blessed to enter into. 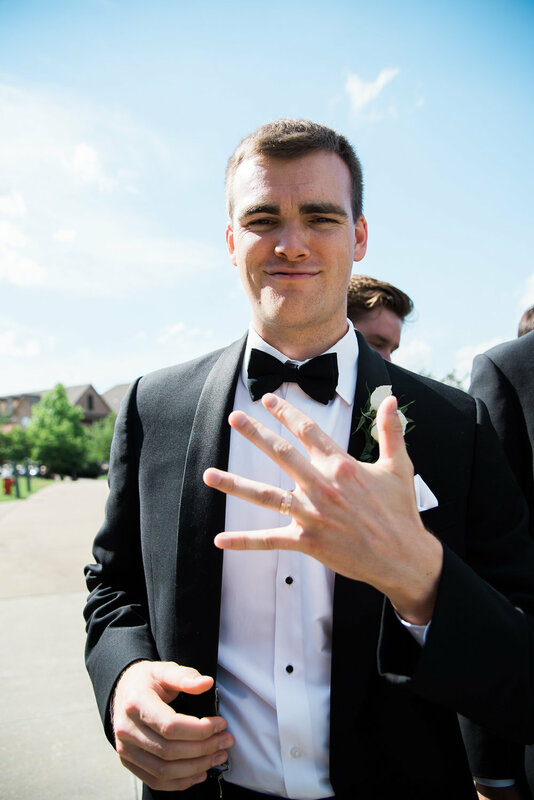 Nothing was missing from our wedding day, because Jesus was truly present in the Eucharist. He was there. Not just in my mind, my heart, or in the people around me. But there. Physically. Fully. Truly. No doubt in my mind. For his love is so full and so true it's not possible for him to remain hidden in our hearts and minds and friends. He has to pour himself out and enter us, for there's no other way he--or we--can be satisfied. Our openness, our conscious consumption of him into ourselves, our yes, our acceptance, is only truly possible by receiving the Eucharist. Exactly like how married love must be consummated. Not because it has to, but because it wants to be made complete. Lovers feel a lacking until the moment their love is made complete. It is no different with God, our first love. He can dwell with us in many countless ways but only in Holy Communion can our love be complete while we're separated from heaven. It's not a requirement, but an abundance of an out of control love that can't stay small; can't hide; can't blend into the background. His love is powerful, unique, strong and physical. It's his body and his blood that are alive and with us always.